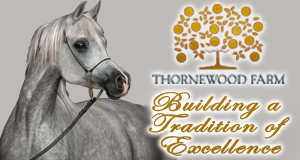 The Pyramid Society | Dedicated to the art of breeding Egyptian Arabian horses. with a global community of Egyptian Arabian breeders, owners, and enthusiasts. of the Straight Egyptian Arabian - the desert's gift of beauty and strength. REACH YOUR TARGET MARKET - ADVERTISE WITH US! Reach your target audience with full color ads featuring live links directly to your website or social profile with an ad in our 2019 DIGITAL MEMBERSHIP DIRECTORY Reserve your spot by March 1, 2019: Inside Front Cover: $400 Back Cover: $300 Full Page: $200 Two-page Spread: $350 Ad Specs: 8" x 10.5" featuring a live link to your website or preferred social media profile. Convient PDF format for download and printing. The Pyramid Society offers this publication as the final and definitive chapter in establishing the Straight Egyptian horse as a breed within the Arabian breed. It is to be considered as the only indisputable and unequivocal reference tool for all breeders of the Straight Egyptian Arabian horse worldwide.